A memorable event, there are no better words to describe it: some 360 Alumni out of the 2600 currently signed up for the dedicated platform gathered at CERN on 2 and 3 February to participate in First Collisions, the kick-off event of the CERN Alumni Network. They came from Europe, the US, India and Russia, and many others watched the event remotely via live webcast. Bringing their wealth of history, experiences and ideas, the participants came to reunite with former colleagues, to develop their network, or just to come back to CERN and see how the Laboratory has changed. The talks delivered by CERN Alumni were the centrepiece of the whole event. The inspiring speakers were able to trigger interesting discussions among the participants during the networking events and, above all, during the exclusive dinner in the CMS experimental hall, which was transformed into an impressive venue for one special evening. First Collisions was also an opportunity for many families and friends to explore various parts of the Laboratory together. Many of the experimental sites visited by the participants and their families had been opened exclusively for them. In many cases, the spokespersons of the various experiments played the role of the guide for our Alumni: a truly unique opportunity for them all. The event is now over but it’s “until next time” rather than “goodbye” for the members of the network. Indeed, we are just at the beginning. The CERN Alumni network will continue to grow and will be shaped by the needs, the enthusiasm and the active involvement of its members. This will require a lot of work and a strong vision. Just before Alumni First Collisions, the first meeting of the CERN Alumni Advisory Board was also held at CERN. A roadmap for the future based on these initial few months of collaboration with the new community will soon be available. 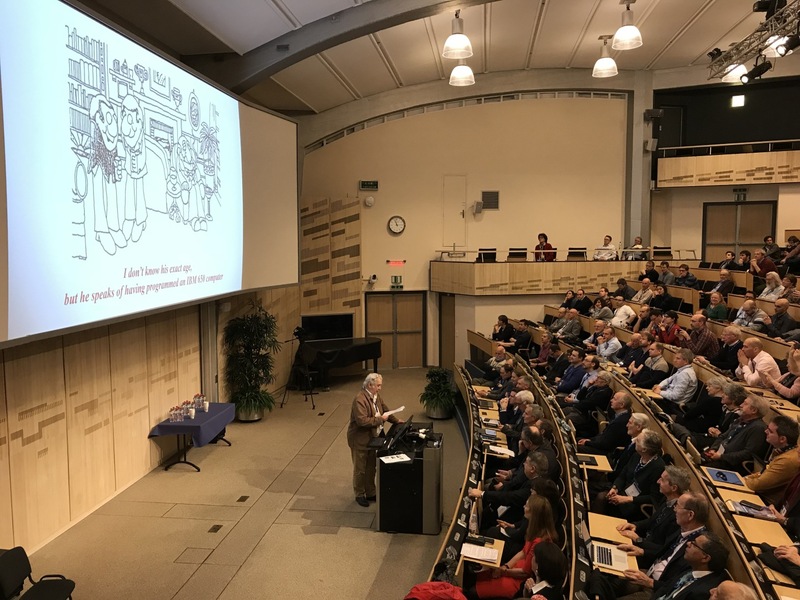 If you missed the event, you can visit the programme webpage and enjoy recordings of most of the sessions (CERN or CERN Alumni login required). Please also help us by spreading the word in your networks and inviting other CERN Alumni to join in. There will be more Collisions events and we want to reach out to as many of you as possible!